In this charming and heartfelt sequel to the New York Times bestseller To All the Boys I've Loved Before, we see first love through the eyes of the unforgettable Lara Jean. Love is never easy, but maybe that’s part of what makes it so amazing (goodreads). P.S. 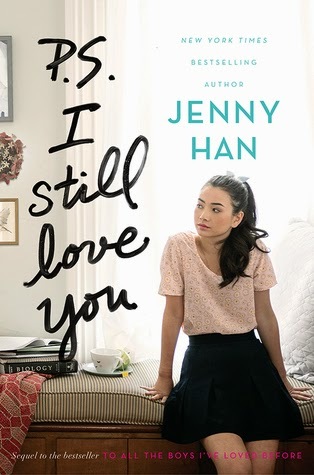 I Still Love You isn't as sugary sweet as To All the Boys I've Loved Before, but Jenny Han will definitely make you feel a gambit of emotions and definitely delivers a satisfactory ending. Plot: Five days after the events of of To All the Boys I've Loved Before have passed and Lara Jean is feeling down and out. Luckily, Ms. Jenny Han chooses NOT to torture us dear readers and gets the ball rolling with more boys, more conflicts, and more life lessons. What I noticed about this novel was that Han focused more on the little moments in P.S. I Still Love You, and I instantly found myself transported to my high school days where I was (am) awkward and unsure about love. For all my Peter K fangirls (are there NOT any Peter K fangirls), I'm just going to say this : Jenny Han's got you covered. Don't fret. Characters: Old faces from To All the Boys I've Ever Loved make appearances but have slightly different roles. Bitchy Gen plays an even bigger role in P.S. I Still Love You than before while Josh is pushed to the sidelines. I really appreciated Lara Jean's commentary on relationships and growing older. Sometimes I would just have to laugh because it's unheard of for such wisdom to come from a 16 year old. New characters are introduced like the ever sassy Stormy who brought a smile to my face with every scene. The relationships and characters are what make this book something special. 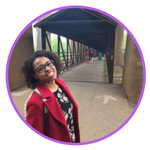 I found myself laughing and giggling like an idiot on public transportation, feeling like my heart was being physically ripped from my body, and then just feeling happy. Jenny Han's storytelling pulls you into the novel so that you feel like you're reliving these moments as well. World Building: For a second, I thought I was a resident of Jenny Han's suburban Virginia. It's not that Jenny Han goes into a lot of detail regarding the places that Lara Jean visits, it's just that it feels right. With just the right amount of pop culture references, Jenny Han has managed to bring her contemporary world and characters to life. Short N Sweet: P.S. I Still Love You is a delightful followup to To All of the Boys I've Loved Before. You'll feel like you're reliving your teenage years and will want Lara Jean and co to be your friends. Is it to much to ask for a novella or two?